The year is 2082. Materials are not made, but grown; not fashioned from fabrics, but from cells. Cosmetic surgery has been replaced by tissue-engineered skin, embellished with precious stones and our bodies are capable of growing seasonal jewellery. 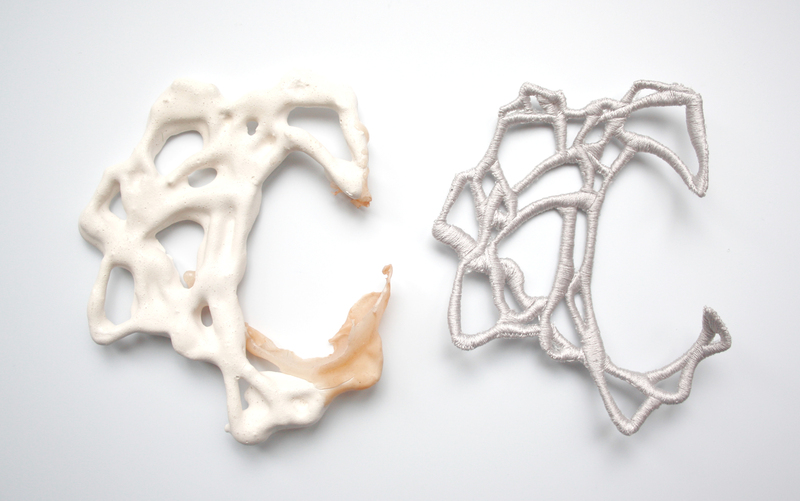 Designer and researcher Amy Congdon is interested in exploring how tissue engineering could be used to grow new biological textiles for the fashion industry. As a designer Amy is interested in exploring the crossovers between design and science, through a highly experimental and research driven practice. Using speculative design work she investigates the implications of engaging with new technologies, such as biotechnology. Employing her work as a vehicle to provoke debate, and discussion, into the potential ramifications of using living materials to create our future products. 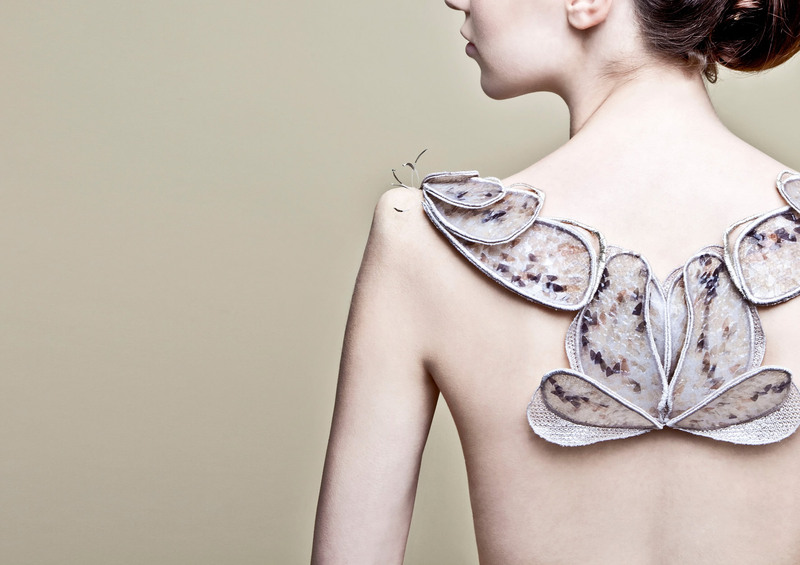 This exhibition is a showcase of her pieces, exploring potential new luxury and bespoke biological textiles; a collection of jewellery and skincare produced by the ‘atelier of the future’. Part of the European City of Science 2016 celebrations. Manchester is the European City of Science 2016 in recognition of its unique scientific heritage and contribution to scientific discovery. Biological Atelier: The Showroom launches on Jun 9th with free refreshments and live music from our resident DJ Ailsa McLaggan of Living Room Dance Club.